The fundamental principle of Nanofiltration membrane's technology is the use of pressure to separate soluble ions from water through a semi permeable membrane. The membrane operates under a different hydraulic profile which is also known cross flow filtration, unlike a dead end filter. 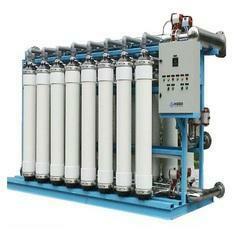 Offering a wide range of Nanofiltration System. These are made from high quality raw material. These are provided in different specification to meet the diverse requirement of client.Nano Filtration is a pressure driven separation process. In order to append and respond to the assorted requirements of the esteemed clients, we are able to dispatch a superior quality of Nanofiltration System. Matching up with the requirements of our clients, we are involved in offering Nanofiltration System. 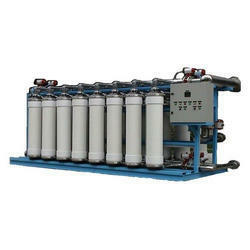 Bestowed with the vast knowledge of the domain, we are able to offer our clients a wide range of Nanofiltration System.